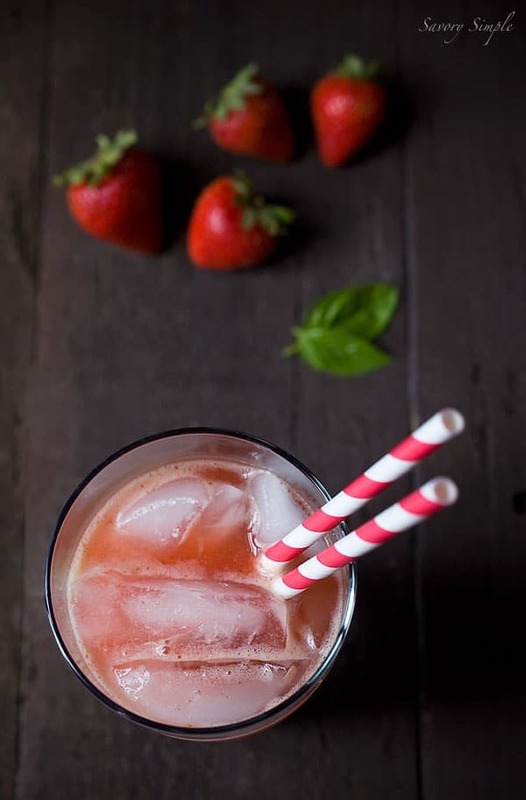 Serve this refreshing Strawberry Basil Mint Summer Cocktail at outdoor parties! 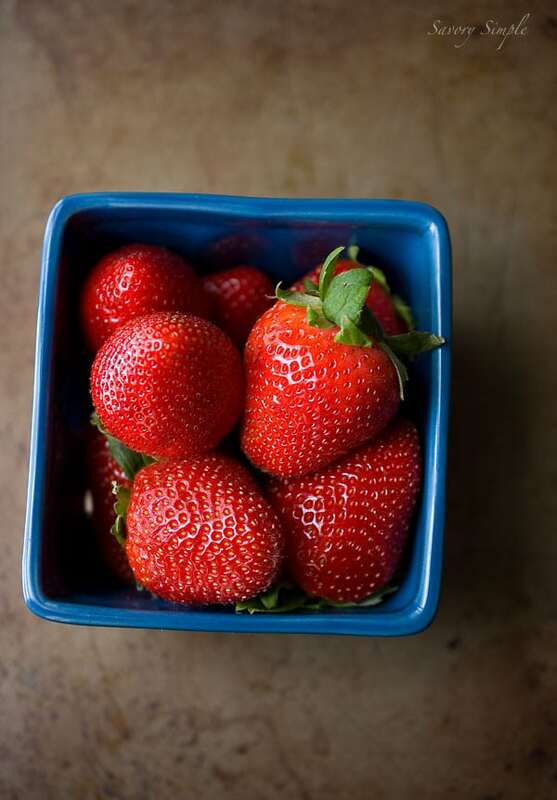 When you think of summer entertaining, what comes to mind? Outdoor parties with friends and family, warm weather (humid weather if you live in my region), cold drinks, maybe cookouts on the grill? I think of all of the above! Personalities like Martha Stewart have always inspired me to try and take entertaining to the next level. While I’m no Martha Stewart, I do my best. 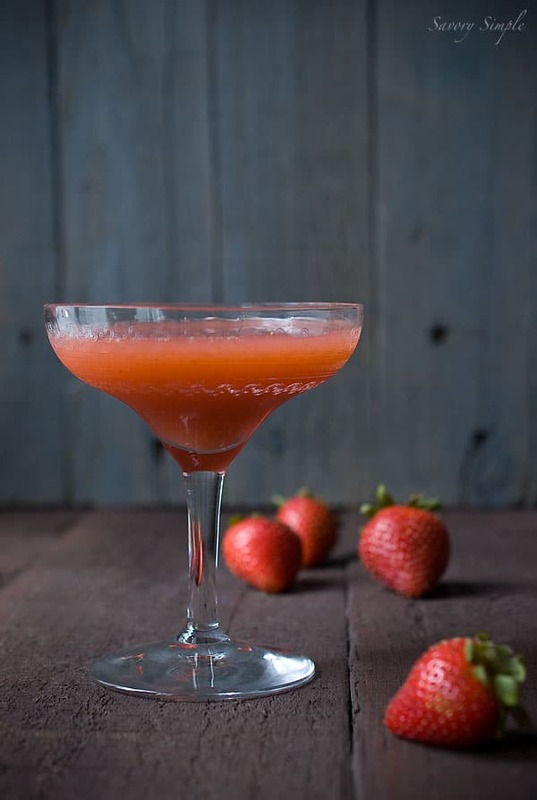 When California Strawberries asked me to create a strawberry drink perfect for summer entertaining, I immediately knew I wanted to include fresh garden herbs. 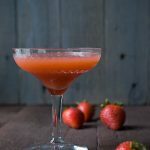 This strawberry basil mint summer cocktail is light, refreshing and wonderful served with or without alcohol! It’s very simple to make, even if you are doubling or tripling the recipe for larger parties. Initially I thought I would crush the herbs as you would with a mojito, but that’s not convenient when you’re serving a lot of guests. So I just threw everything in the blender and then strained out the herbs. If you want to really infuse the basil and mint, allow the liquid to sit in the blender for 5-10 minutes before straining. Oh now this I have GOT to make!